“For most patients, it doesn’t matter if there’s a little bit of lactose, a little bit of fructose, or some starch in there. However, there is a subpopulation of patients, currently of unknown size, that will be extremely sensitive to those and develop symptoms triggered by the inactive ingredients,” Daniel Reker, PhD, a Swiss National Science Foundation postdoc at Massachusetts Institute of Technology’s (MIT) Koch Institute for Integrative Cancer Research in Cambridge, Massachusetts, and a lead author on the study, said in an MIT news release. 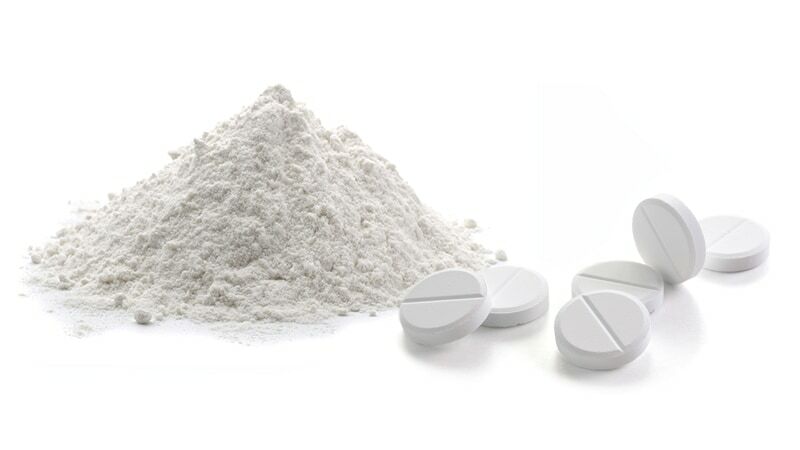 Drugs typically contain the actual drug, or active pharmaceutical ingredient (API), and inactive ingredients (excipients). Inactive ingredients “are not intended or expected to have a direct biological or therapeutic effect but instead are added to alter the physical properties of an oral solid dosage form (tablet or capsule) to facilitate absorption; to improve stability, taste, and appearance; or to render the therapeutic tamper resistant,” the researchers explain. However, increasing numbers of clinical reports describe allergic reactions to excipients such as lactose and chemical dyes, write Reker and colleagues. They published their findings online March 13 in Science Translational Medicine. In addition, the authors suggest that intolerance to inactive ingredients, such as gastrointestinal disturbances, are likely underestimated. Patients older than 65 years, almost one third of whom take five or more pills each day, are particularly vulnerable. Although established excipients have demonstrated “safety on the population level and, can be reviewed to evaluate their toxicities, health effects that are undetectable in current preclinical toxicology screenings could remain obscured,” the authors write. To learn more about the unwanted effects of excipients, the researchers conducted a comprehensive analysis of 18 of the most commonly prescribed active ingredients (54 unique medications). They used the National Library of Medicine’s Pillbox database, DailyMed, and the web resources of the manufacturers to learn more about inactive ingredients in prescription and nonprescription drugs. “For example, the symptoms of irritable bowel syndrome (IBS) are being increasingly managed in part by a diet that is low in fermentable oligosaccharides, disaccharides, monosaccharides and polyols (FODMAPs). Fifty-five percent of all oral medications contained at least one FODMAP sugar in their formulation, and 5% contained more than one FODMAP sugar,” the researchers write. Many medications are available in multiple formulations and the list of inactive ingredients can be difficult to understand and imprecise. For example, gluten may not be listed as gluten or the product information may not specify the amount in the medication, according to an MIT news release. Other ingredients or categories of ingredients that can be derived from wheat include wheat flour, wheat starch, ingredients derived from starch, ingredients produced by fermentation, and wheat germ oil, according to the US Food and Drug Administration, which has recently recommended including gluten content to labels. The researchers say in one survey they found, 18% of manufacturers reported their medications contain gluten. However, of the 69% that claimed they had gluten-free products, only 17% had actually tested their products and had documentation of these tests. It can be difficult to find a formulation without the offending expedient. “Viewed through the lens of the APIs, only 28% of active ingredients have at least one available formulation that avoids all of these potential allergens, and only 12% of APIs are free of inactive ingredients that have been reported to cause allergic reactions,” the authors explain. associated inactive ingredient (ARAII) ] in all available formulations. For example, all available rosuvastatin calcium and diclofenac tablets, among others, contain lactose as an inactive ingredient which might cause allergic reactions through contamination with milk protein,” they continue. Inactive ingredients can account for more than half of a medication’s mass, and sometimes much more. Some patients may have a severe reaction such as anaphylaxis, whereas others may experience adverse effects that are less severe but still bothersome, such as abdominal pain or bloating. These effects can intensify for patients who take multiple drugs or doses with ingredients to which they are sensitive. The investigators are conducting a follow-up study among healthcare providers to examine how widespread this issue is, and they hope to further study the extent to which commonly used inactive ingredients cause symptoms in patients with intolerances. “Recognizing that the inactive portion of a medication, which corresponds on average to two-thirds of the administered material, may be more ‘active’ than previously anticipated, we foresee potential implications for medical protocols, regulatory sciences, and pharmaceutical development of oral medications,” the authors conclude. Reker and two coauthors are co-inventors on a provisional patent application encompassing systems and algorithms capable of quantifying and providing inactive ingredient burden in medications. One study author reports consulting relationships with Avaxia Biologics, Novo Nordisk, Egalet, Janssen, and Merck and holds equity in Lyndra and Vivtex. Complete details of all relationships for profit and not-for-profit for this author can be found here. One study author reports a consulting relationship with Two River Consulting and is an equity holder in Kronos Bio Inc.